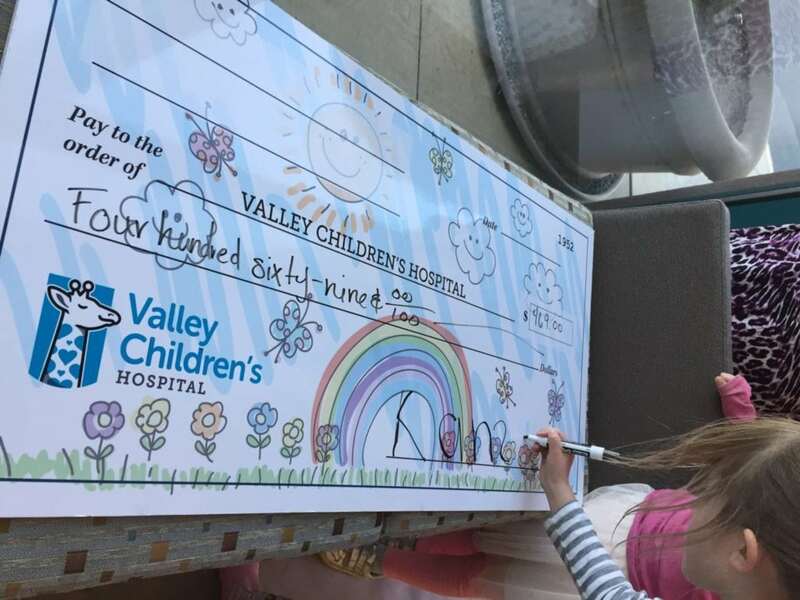 For 6-year-old Kansas Stewart it all started with wanting to have a lemonade stand and a little inspiration from another Children’s Miracle Network Hospitals (CMN Hospitals) partner, IHOP. 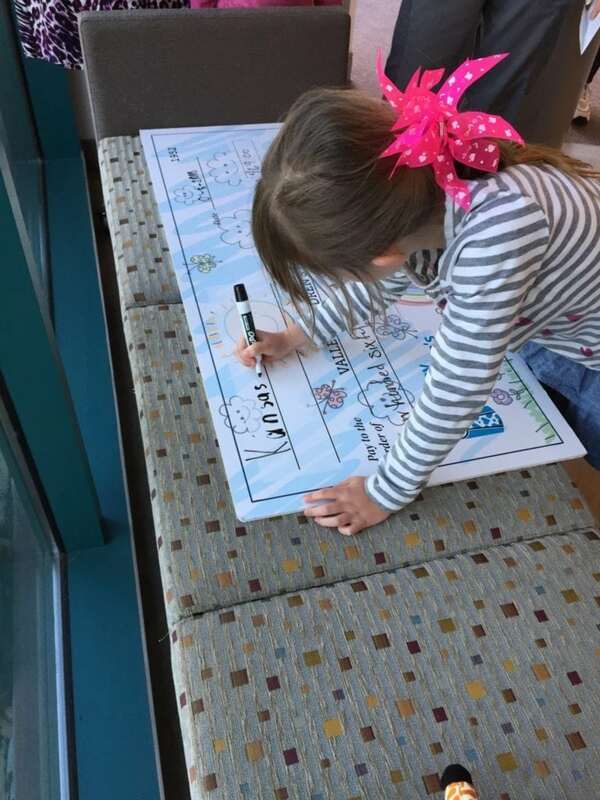 While visiting her local IHOP location Kansas saw the CMN Hospitals Miracle Balloon and asked her mom what it was and what it meant. When Kansas’s mother explained to her the balloon was part of a fundraising effort to help kids right their community, Kansas wanted “to donate to sick kids in the hospital and to help doctors buy the tools they need.” This effort was also personal to Kansas because she had a friend who had surgery late last year. Kansas and her mom even made a commercial to send out to family and friends along with a flier, Kansas’s Lemonade Commercial. 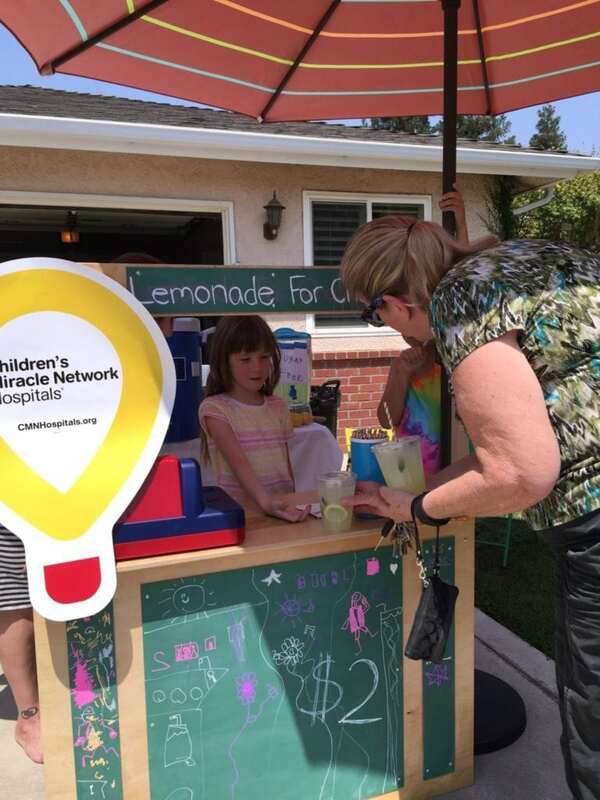 Kansas sold regular and sugar-free lemonade for $2 a cup, but most people were moved by her dedication to help others and gave $20 and told her to keep the change. I even had the opportunity to visit with my family and have a refreshing lemonade. Thank you for the sugar-free option it was wonderful on a hot Fresno day! 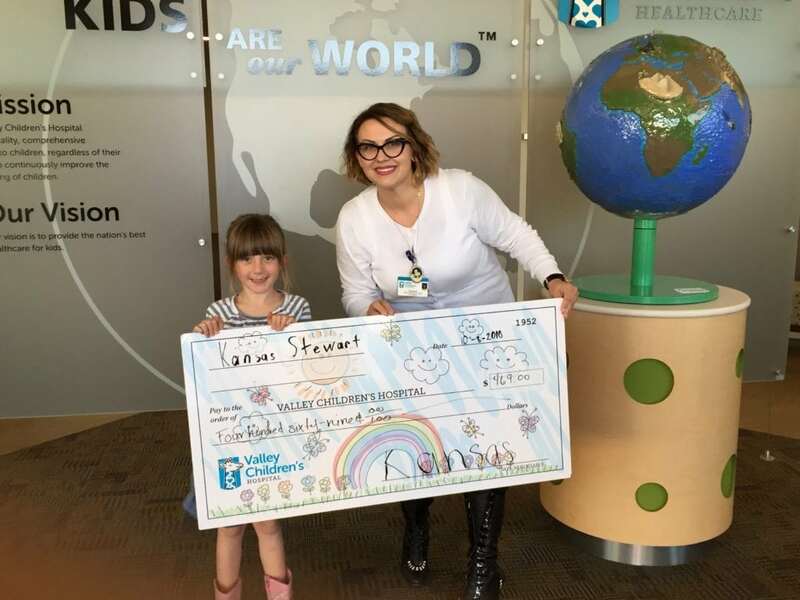 Kansas and her family raised $469! Outstanding, Kansas! Thank you for everything you and your family did to help kids just like you in our community. I know you are working hard to become an astronaut and an engineer, but don’t forget we always need people like you in development too. Signing the check to make it official. Kansas presenting check to Shannon Slavan-Lombre, Development Lead, Children’s Miracle Network Hospitals. Next post: Top National Pancake Performer Receives Award!